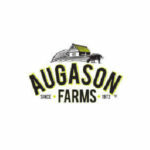 Augason Farms is a company with nearly half a century long history. Since the very beginnings, the lovely people behind this family-owned enterprise have constantly worked on various improvements and innovations, making their products even tastier and healthier. All of that hard work has certainly paid off, as they can now proudly say that they are one of the best companies in the business. 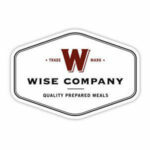 Offering you a wide range of survival and emergency food kits, they can satisfy all your dietary needs and allow you to enjoy all kinds of tasty food in every situation. 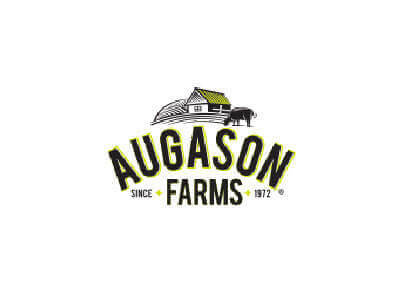 Learn more about their offer in this detailed Augason Farms review. Going with a company with a long tradition is always a good idea. The fact that Augason Farms is still here after almost five decades speaks in favor of the great quality of their products and service. What is even more important is that they keep up with the advancements in the field and constantly improve their merchandise, attaining the highest possible level of quality. Emergencies are normally not the happiest of occurrences and fine dining is far from our minds when our basic instincts scream in our heads, telling us to run and hide. However, after the initial adrenaline surge, our needs go back to normal and we crave something good to eat. Augason Farms has this in mind, which is why they provide you with various kinds of food (the list of items goes on forever) that both last for up to 30 years and have great flavor. They let you enjoy delicious food while you wait for the dust to settle. While researching for this Augason Farms review, we found out that this company also cares about the special dietary needs of their customers. They offer dozens upon dozens of products for people on a gluten-free diet, as well as for vegetarians, which is not something you will find in all companies of this kind. If you want to spread the survivalist spirit among your friends and loved ones, you can send them e-gift cards and let them get some goodies created with care by Augason Farms. You can choose the purpose, including birthday, Mother’s Day, Christmas, congratulations, or just because. When it comes to the worth of the card, you can determine any amount, from $10 to as much as you are willing to spend on the gift. The range of products Augason Farms offers is truly amazing and even includes comforting soups, sauces, drinks, and baking mixes you can enjoy every day, not only in case of an emergency. If you want to give their food a try but do not want to spend much money, you can order free samples. Augason Farms offers over 400 products divided into 6 categories, each with up to 7 subcategories. You can choose from food supply kits, soups and entrees, fruit and vegetables, dairy and meat, grains and beans, bakery goods, and drinks. The products come with full nutritional information, including calorie count, as well as information on the number of servings for meals and the exact list of items included in the kits. The shelf life of food items ranges from 1.5 to 30 years. In order to ensure that the food can last for a long period of time, packages include oxygen absorbers or nitrogen flush. The kits do not only include food; they also come equipped with various survival tools. As we have already mentioned in this Augason Farms review, you can also purchase gluten-free and vegetarian items. Let us take a look at the products in each category and the respective price ranges. 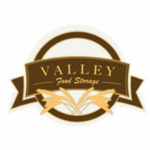 Food supply kits include 1-year kits, 3-month kits, 30-day kits, 72-hour kits, bug out kits, can kits, and pail kits. The prices in this section range from only $29.99 for a 72-hour kit for one person to a whopping $39,999 for the mega 1-year kit for 40 people. In the soups and entrees section, you can find soups, organic soups, sauces, and entrees, including individual entrees and entree kits. The prices range from $4.99 for organic soups to $461.09 for the one-month starter entree kit. The fruit & vegetables section features dehydrated vegetables, freeze-dried vegetables, vegetable kits, dehydrated fruit, freeze-dried fruit, and fruit kits. The prices for fruit and vegetables range from $3.99 for funeral potatoes to $364.99 for the freeze-dried fruit and vegetable variety pack. The dairy and meat category includes dairy kits, ingredients, and milk, powdered eggs, and freeze-dried meats, meat kits, and vegetarian meat substitutes. The prices range from $5.19 for instant nonfat milk to $321.99 for the freeze dried meat variety 6-pack. In the grains and beans category, you can find cereals, grains, grain kits, pasta, rice, and beans. The prices in this section are rather affordable and range from $3.99 for a can of long grain white rice to $109.99 for a 41 lb pail of dried pinto beans. The bakery section boasts over two dozen of bakery goods, including bakery kits, baking ingredients, and bake mixes. The lowest price in this section is that of a can of dough enhancer, which costs $4.09 and the highest price is that of a 40 lb pail of white granulated sugar, which costs $109.99. Finally, we come to the drink mixes section, which includes Apple Delight and Orange Delight drink mixes. A 6 oz. can of Orange Delight drink mix costs $6.09 while an 11 oz. can of the same mix costs $17.99 and is enough for 99 servings. An 11 oz. can of Apple Delight drink mix is good for 103 servings and costs $16.99. As you can see, the prices at Augason Farms are rather reasonable. You can also check out the best deals and hot buys in the Sale section or take a look at the latest additions in the New section. Augason Farms ships nationwide, with the exception of Alaska and Hawaii. The shipping costs are $9.99. However, with orders over $200, you get free shipping. Orders are normally shipped within 3 business days after you place your order. However, this highly depends on the availability of the items ordered, which is why it sometimes takes much longer for the products to be shipped. Augason Farms products can also be purchased at their retail store or at Walmart stores around the country. It is important to note that for orders shipped within Utah or products purchased at the retail store, you have to pay Utah sales tax. If your order gets damaged during shipment, you have to report this to Augason Farms within 48 hours in order to receive a replacement. Depending on the conditions, you may be able to return the merchandise within 10 days after you receive it. Augason Farms is perfect for survivalists who wish to stock up on high-quality food that allows them to have a healthy, varied diet during emergencies. On top of that, the prices are quite reasonable and with over 400 items to choose from, you can surely find something you like. We were pleasantly surprised by the nice selection of gluten-free and vegetarian items and the shelf life of up to 30 years. Free samples allow you to taste the food before you invest in any long-term kits and free shipping for orders over $200, along with regular discounts, makes this company a safe and affordable choice. I ordered a pail of 30 day for one to try. Did a phone order. Talked to a real person. Questions were asked and I received knowledgeable answers. The young man gave me an approximate delivery date, and came sooner. Mind you this was 9 days before Christmas. Was so pleased I was telling my mom about this and she placed an order as well for a supplementary Christmas gift. Great soups and bake mixes, good prices. Our kids hated the drink mixes and we waited for 2 whole weeks for the food to arrive. What if it was an actual emergency?! Tastier than any survival food we have tried so far, planning on ordering again for sure. Finally, something for the gluten-free lot! Awesome emergency food and not that pricey either!